Dyeing, Making hay,felting and last lambs of the year. Just picked up a bunch of my fiber from the Sweitzer's Countryside Mill. I had her turn some of the mohair into yarn. 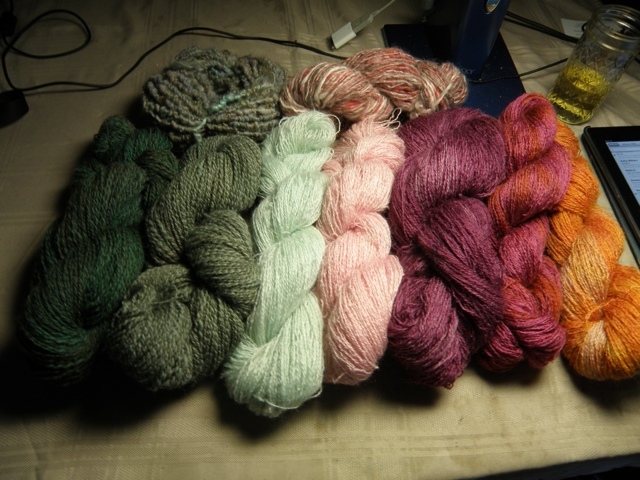 I have been dyeing the skeins different colors. I got back seven pounds of the white and have been having a good time color combining. They are not going to be striping, since I am using my dyeing. The top two are skeins that I spun this week. 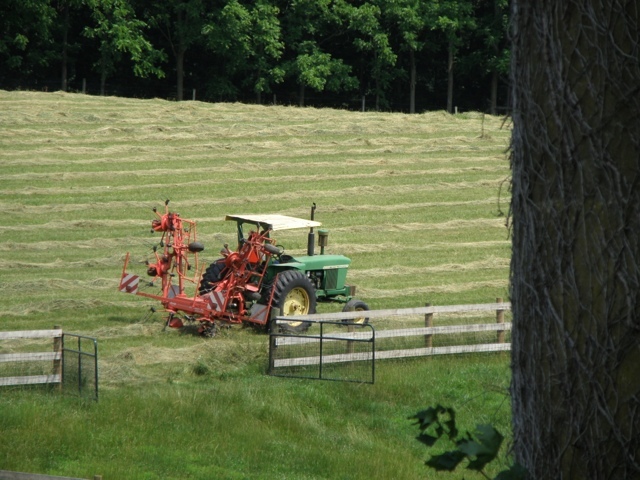 The farmer is cutting our hay now. He fluffed it today so it would dry. He plans to bale it tomorrow. We will be borrowing his elevator to get it into the hay loft. We have fenced off the front yard now and have put a sign on the front gate reminding visitors to close the gates behind them. I will only move the animals when I am not expecting deliveries. 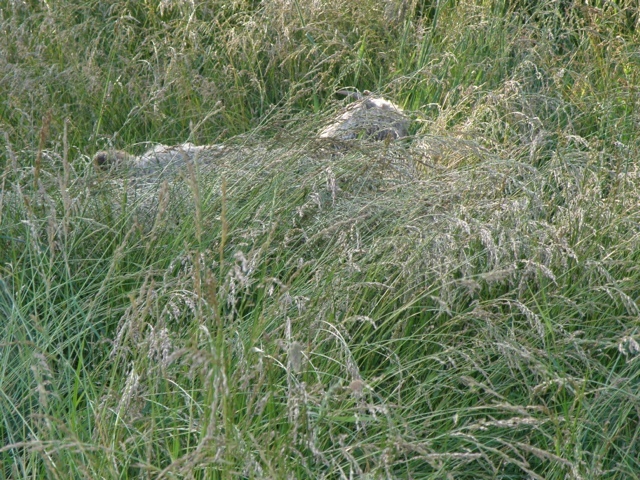 The doe above was shorter than the grass. I figure the extra pasture is about 7 days of feed, if all of the animals are on it. That is equivalent to 32 bales of hay. Of course, they can't be on it all of the time. 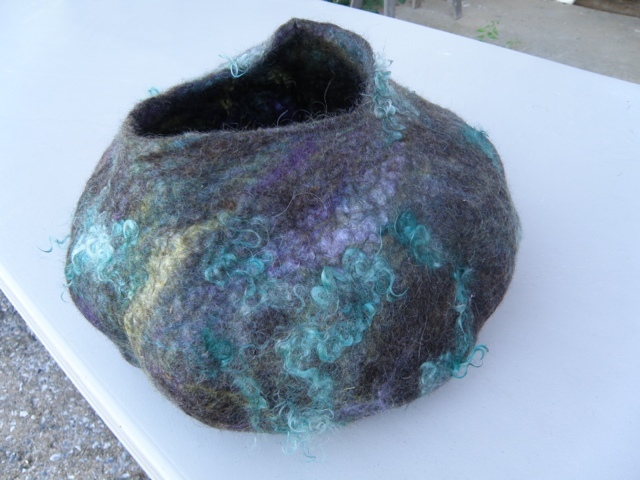 I have been teaching felting. So far, this is my favorite bowl. 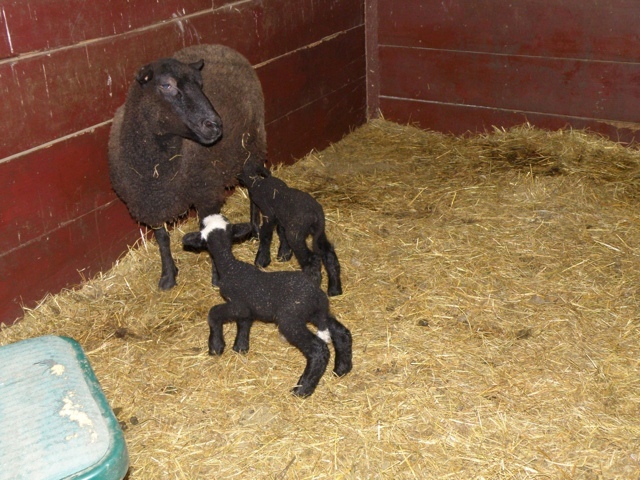 Blackie had her lambs last Sunday evening. The one with the white spot is an ewe, the other a ram. They are out of her, a Shetland, and a Moorit Merino ram, who was supposedly to young to breed. Lovely surprise. Baby season is over till September, when the Merinos will have their lambs.